Kenesseth Israel’s next Homeless Outreach project will be Thursday, April 4, from 5:30 to 8 p.m. Participants will make sandwiches and care packages. (Bring your own supplies (bread, peanut butter and jelly, blankets, underwear, socks, flashlights, etc.) They will then caravan downtown to distribute food and supplies to the homeless. Adath Jeshurun will host Rabbi Gershom Sizomu, the first native-born black rabbi in Sub-Saharan Africa and chief rabbi of Uganda, at 6:30 p.m., Sunday, April 7. He will share the story of his personal journey and the 100-year history of Abayudaya community. 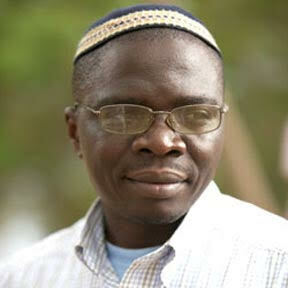 Rabbi Sizomu grew up during the devastating reign of Idi Amin, who outlawed Judaism. The event is free. The Temple will screen reruns of the 5101 Overtures at 2 p.m., Sunday, April 14. In 1977, icebreakers with Adath Israel and Brith Sholom resulted in two magnificent musical performances that came to be known as the 5101 Overtures. Preserved on VHS tapes, they have been recently digitized to DVD. A reception in the atrium will follow the screenings. Keneseth Israel’s gala will be held Sunday, April 14. This year’s theme is “What She Taught Me,” honoring the women who came before us. Silent and live auctions, an aerialist floor show, dancing, and keynote speaker Cantor Paula Pepperstone are among the attractions. Visit kenesethisrael.com/gala-2019 for tickets and commemorative journal ads. Please RSVP by April 26, at thetemplelouky.org or 502-423-1818 if you plan to attend. Brown Bag Blessings, Adath Jeshurun’s program to help feed the homeless is Sunday, May 5, at 12:30 p.m. AJ members and friends prepare brown bag lunches to serve the homeless. Pizza and refreshments will be served, and activities include making sandwiches, packing lunch bags and decorating cards. Donations of bottled water, peanut butter, jelly, and small bagged snacks are needed. This event is free. RSVP at adathjeshurun.com/brownbagblessings. The AJ Book Club is currently reading Millard Salter’s Last Day by Jacob M. Appel. The book will be discussed at the next meeting at 2 p.m. Sunday, May 19, at AJ. Contact Deborah Slosberg at dslosberg@adathjeshurun.com or 502-458-5359. Adath Jeshurun will host a once-in-a-lifetime musical performance with more than 130 cantors performing together, at 7:30 p.m., Wednesday, May 22. The event, which is part of the 72nd Annual Cantor’s Assembly Convention, is open to the community. Visit adathjeshurun.com/CantorConcert for tickets. Enrollment is now open for AJ Preschool’s 2019 Summer Camp, which runs June 3 to July 26. Children 6-weeks old through age 5 may enroll. Camp opens as early as 7:30 a.m. and runs as late as 6 p.m. Children may enroll for as little as two weeks, or as many as eight weeks. Themes for the two-week sessions include Under the Sea, Pirate Adventure, Nature, and Camping. Registration closes on April 1. Contact AJ Preschool at 502-451-3434. Begonias and/or boxwoods may be ordered for gravesites in the AJ Cemetery. Headstone-cleaning is also available. Arrangements can be made at adathjeshurun.com/cemeteryplantings. The deadline for ordering headstone cleaning is April 15. 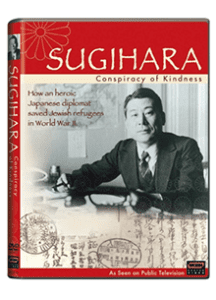 Temple Shalom will screen the PBS documentary Sugihara: Conspiracy of Kindness, at 6:30 p.m., Sunday, April 28. The film is a prelude to the community-wide Yom HaShoah program, featuring the daughter of a Jew saved by the famous Japanese diplomat during World War II, which will be held Wednesday, May 1, also at Temple Shalom. RSVPs are encouraged. Call 502-458-4739. Light refreshments will be served following the screening. The Keneseth Israel Bridge Club meets Mondays from 1 to 3 p.m. in the small chapel. RSVP to gwishnia@gmail.com. Rabbi Michael Wolk will hold his next Lunch and Learn at noon, Thursday, April 4, at The Bristol on Main Street. The class is free (food sold separately). RSVP to mwolk@kenesethisrael.com. Rabbi Simcha Raphael, founding director of the Da’at Institute for Death Awareness, Advocacy and Training, will be the 2019 David & Reva Waldman Kahn Scholar-in-Residence program April 5-7. Raphael is an adjunct professor of religion at LaSalle University and a psychotherapist in Philadelphia. He will speak Friday night and Saturday on the afterlife and end-of-life issues. He also will speak at Saturday lunch and learn and a Sunday brunch on spiritual guidelines for dealing with living and dying and Jewish burial traditions. Herman Meyer & Son is co-sponsoring the residency. RSVP to gkahn@kenesethisrael.com or 502-459-2780. Cantor Sharon Hordes leads a class on kabbalah seen through each Hebrew month. The class meets every second Thursday at 6:30 p.m. The next session is Thursday, April 11. Cantor Sharon Hordes and Lisa Flannery lead a class at Keneseth Israel that blends yoga and Torah study. Temple Shalom and Hadassah are co-sponsors. The next session is 6:30 p.m., Tuesday, April 16. Rabbi David Ariel-Joel of The Temple leads Torah study sessions Saturdays at 9 a.m. in the Fishman Library. Coffee, bagels and cream cheese will be served. Rabbi Michael Wolk leads a Torah study session over coffee Wednesdays at 11 a.m. in The J library. “Building Character: Jewish Principles of How to be a Good Person,” 9:30-10:35 a.m. with Rabbi David Ariel-Joel. “The Torah of our Lives,” 10:45-noon, with Rabbi Joe Rooks Rapport. “Advanced Hebrew: The Temple Torah Study Circle,” 6-7 p.m. with Rapport. “Beginning Hebrew, Part 2,” 7-8 p.m., with Mark Goldstein (Students should have knowledge of the Alef Bet. Email mdgoldstein01@gmail.com to register. “Basic Judaism: Holy Days and Festivals.” 7-8 p.m., with Rapport. Adath Jeshurun’s “Kabbalah 1” class will be held Wednesdays April 3 through May 29. The session start at 6:45 p.m. Elliott Rosengarten will teach class, which will not meet on May 22. The cost of the eight-week course is $49. Contact Rosengarten at eyedoc1770@aol.com for details. The next “Imagine Shabbat,” an innovative approach to morning services, will be on Saturday, March 23 at Keneseth Israel. Breakfast with Cantor Sharon will run from 9:15 to 9:45 a.m., following by interactive Torah study (9:45 a.m.-10:30 a.m.), an abridged traditional Shabbat service (10:30 a.m.-noon) and an enhanced kiddush lunch. The event is free, but reservations are required. Email gkahn@kenesethisrael.com or call 502-459-2780. Temple Shalom member Ann Waterman, member of the group Two of Diamonds, will accompany Shabbat services on the clavinova at 6:30 p.m., Friday, March 29, at Temple Shalom. All who are celebrating birthdays or anniversaries in April may join a group aliya at Adath Jeshurun Shabbat Service, which starts at 9:30 a.m. on Saturday, April 6. Chabad will celebrate Shabbat with an interactive prayer service followed by a deli luncheon at 10 a.m., Saturday, April 6. The program is offered free and is sponsored in part by the Jewish Heritage Fund for Excellence. Call 502-459-1770 for details. Temple Shalom will hold its next No Shush Shabbat at 6:30 Friday, April 12. Rabbi Beth Jacowitz Chottiner and Benji Berlow lead the interactive PowerPoint family service. Afterwards, kids will stay for pizza and a movie, while parents go out to dinner. RSVP to 502-458-4739 or information@templeshalomky.org. The Temple will honor its Brotherhood on Shabbat at 7 p.m., Friday, April 12. Students in grades K through 7, their parents, and their families may join a family service at Adath Jeshurun at 11 a.m., Saturday, April 13. The informal service and includes a story. Students will join the main service afterwards to help lead the closing prayers. Chabad will offer one hour of pre-Passover guided meditation at 8:30 p.m., Saturday, April 13, at Chabad House, 1654 Almara Circle. The meditation will be followed by a short audiovisual message from the Lubavitcher Rebbe on preparing for Passover. This program is free and is sponsored in part by the Jewish Heritage Fund for Excellence. Call 502-459-1770 for details. The Temple will mark Yom HaShoah: Holocaust Remembrance Day with a special Shabbat at 7 p.m., Friday, April 26. The sixth grade class will lead the service. Chabad will hold a morning service and brunch at 8:30 a.m., Sunday, April 28. The event is free and sponsored in part by the Jewish Heritage Fund for Excellence. Call 502-459-1770 for details. Here are dates and times for Adath Jeshurun Passover worship services: The service for the first born, Friday, April 19, 7:15 a.m., followed by breakfast; kosher community seders, Friday evening, April 19 (for those with advanced reservations), two seders are being offered. Visit adathjeshurun.com/seder for reservations. Services on the first day of Passover, Saturday, April 20, 9:30 a.m. and 5:45 p.m.; second day services, Sunday, April 21, 9:30 a.m. and at KI at 5:45 p.m.; seventh day services are Friday, April 26, at 9:30 a.m. at KI and 5:45 p.m. at AJ; eighth day services and Yizkor, Saturday April 27, 9:30 a.m. and 5:45 p.m. Sitters are available by contacting Barb Embry at 502-458-5359. Anshei Sfard’s Passover seders will be held at approximately 9:20 p.m., Friday, April 19, and Saturday, April 20, at the home of Rabbi Simcha and Hindy Snaid, 3706 Dutchmans Lane. The seders are free, but reservations are required by April 15. Call 502-451-3122 or visit facebook.com/ansheisfard. The Chabad community seder will be held on Friday April 19. Three generations of the Litvin family will lead. A $36 donation for adults ($18 for children and students) is suggested. RSVP by April 5 to 502-235-5770. Keneseth Israel will hold its Passover seder at 6:30 p.m., Friday, April 19, at KI, following 6 p.m. Kabbalat Shabbat and Passover services. Chef Gregoire Guiot of Mirabelle Gourmet Catering will cater the meal, which will feature matzo ball soup, brisket, potatoes and veggies, dessert, and kids and vegetarian menus. Rabbi Michael Wolk and Cantor Sharon Hordes will lead the seder. Cost is $20 for adults, $10 for Children 7 to 11, free for kids under 7. Send checks to Keneseth Israel or pay online at kenesethisrael.com/payment/. The Temple will host its first night seder at 6 p.m., Friday, April 19, in Heideman Auditorium. Chef Z of Personal Touch will cater the meal. Cost is $15 for Temple members; $20 for adult non-members; free for children 12 and under. Reservations for non-members will be taken from March 23 through April 12 on a first-come, first-served basis. Payment is required upon reservation; all reservations must be honored. The Jewish Heritage Fund for Excellence is supporting the seder. Temple Shalom will hold a second night community seder at 6 p.m., Saturday, April 20. Rabbi Beth Jacowitz Chottiner will lead the family-friendly seder. Guests may request to sit with another family. Each table will accommodate eight people. Cost is $18 per person ages 11 and up. The office must receive payment by April 5. Contact Temple Shalom at 502-458-4739 or information@templeshalomky.org. The Temple will host its second night seder at 6 p.m., Saturday, April 20, in the Heideman Auditorium. The confirmation class of 2019 is hosting the event with songs, skits, activities for all ages and a hagadah created by the class. Cost is $15 for adult Temple members, $20 for adult non-members, free for children 12 and under. RSVP by April 12; payment is required at the time of RSVP. Checks should be made out to “The Temple” or RSVP at thetemplelouky.org. Call 502-423-1818 for details. The Jewish Heritage Fund for Excellence is supporting the seder. The annual Gaylia R. Rooks Women’s seder is slated for 6 p.m., Wednesday, April 24 in the Levy Great Hall of the Klein Center. This year, the seder will be held on the sixth night of Passover, using a hagadah written by Temple women. WRJ (Sisterhood) is hosting the event. Chef Z of Personal Touch will cater; vegetarian entrées are available. Cost is $15 for adult WRJ/Sisterhood members: $20 for adult non-members: free for children 12 and under. The Jewish Heritage Fund for Excellence is supporting the seder. After Passover ends, The Temple’s Young Adult Group will gather for a bourbon tasting and a carb- filled dinner at 6 pm., Saturday, April 27.